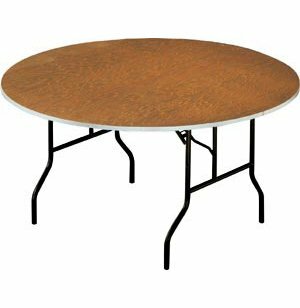 Plywood Round Banquet Table 48"
The plywood core on this folding table is lighter than inferior particleboard versions, which makes these Plywood Banquet Folding Tables much easier to move around and stack. These folding tables last longer too! 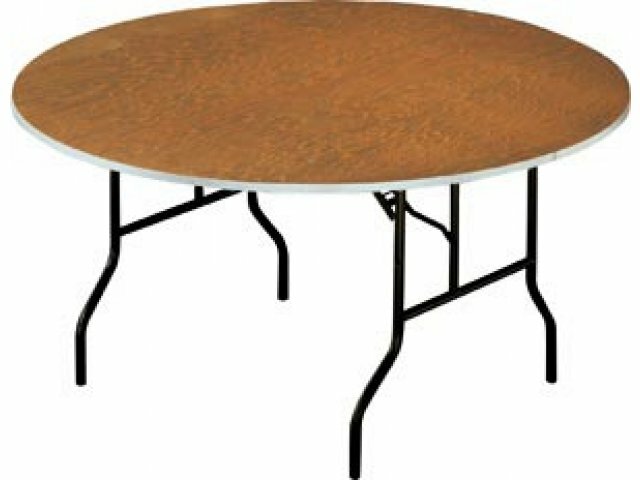 Stained plywood-top tables are commonly used by catering facilities who always put tableclothes on their tables. 150 Lbs. Per Square Ft.
Double-cross bracing for maximum strength. Sealed with two coats of lacquer to repel spills. 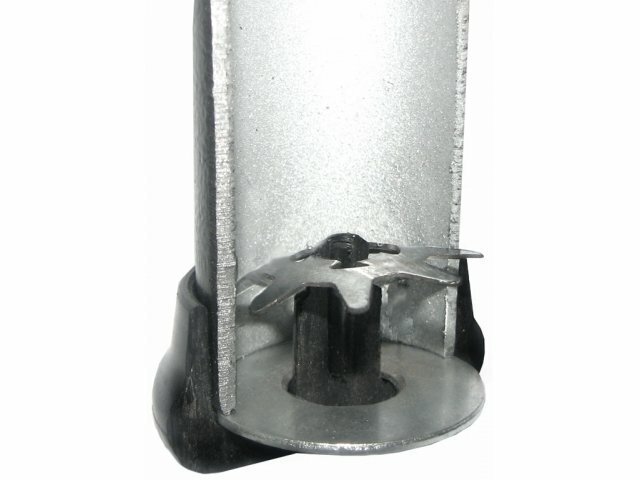 Steel apron bolted to top. Extra-wide, through-bolted wood runners facilitate stacking and handling.